This week's launch will feature week 10 polishes from Turtle Tootsie and Leesha's Lacquer. 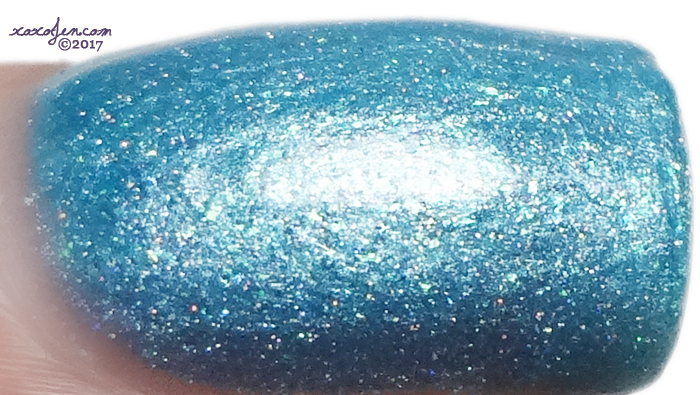 Once in a Blue Moon is a glowy blue shimmer with a dash of holo glitter. Polish Con only happens once in a gorgeous shimmery Blue Moon after all! I wore two coats with topcoat for an opaque look. 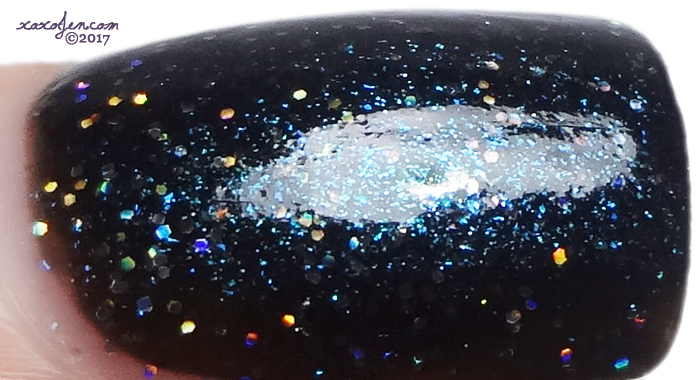 A black jelly holo base with silver holo micro glitter and blue shift. I wore two easy coats with topcoat. The polish had very little texture before topcoating and did not chip after two days.